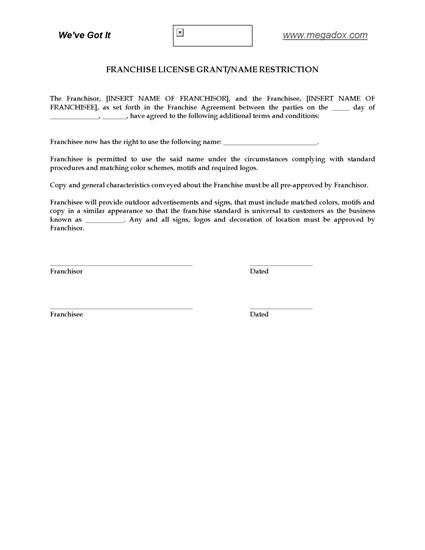 Grant your franchisees a license to use your trade name with this Franchise License Grant and Name Restriction. The license is granted subject to certain restrictions. When completed, the License should be attached as an addendum to the original Franchise Agreement. This is a generic legal form that is not specific to any country. 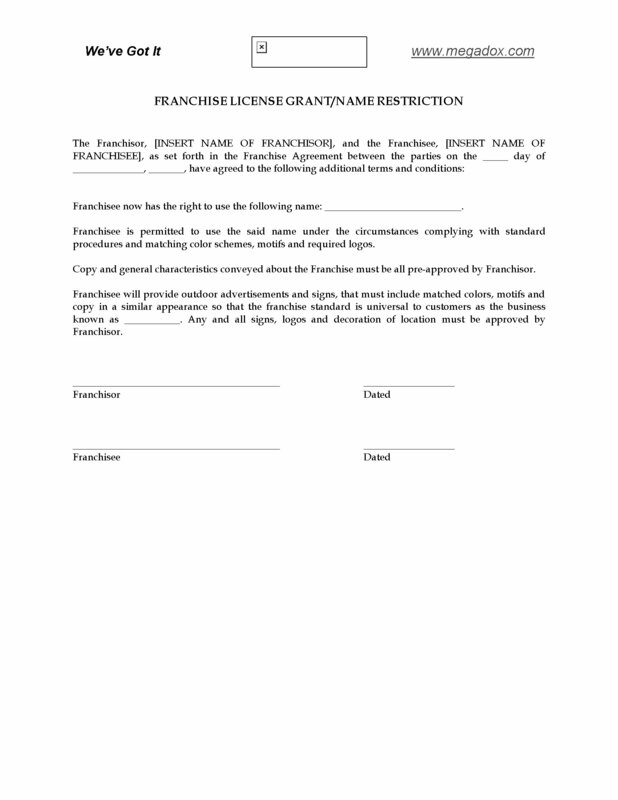 This free Franchise License Grant and Name Restriction form is available in MS Word format, and is fully editable to meet your needs.